While many people focused on the new smartwatch that was announced this week by Apple, it was the new MacBook that was debuted the same day that caught my attention. This new laptop is super light, slim, and designed to be very portable with just enough power to get regular tasks done. In short, it’s a netbook. Now, while others have used the term “netbook” to mock the new MacBook, I mean it in a completely complementary way. While many people mocked netbooks when they rose to prominence years ago, and gleefully celebrated their death as tablets became the trendy super portable computing choice, I’ve always been a fan of netbooks. Yes, they tend to be underpowered, but so are tablets, and you buy a netbook to get basic tasks done, not to edit HD movies. But in almost every other way, a netbook is a winner, especially when compared to tablets. It’s small and light enough to carry around without breaking your back, it has a real keyboard, so it can be used to write things longer than a tweet, and it has most, if not all of the capabilities of a full laptop. Comparably, while tablets are great for certain functions, they don’t serve well as, say, the sole computing device you bring on a business trip. Bringing a tablet on a trip means also bringing a laptop or at least carrying around an additional keyboard, at which point you’re carting around more weight than a netbook. So yes, I am clearly a netbook enthusiast. 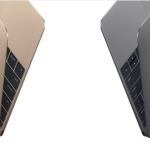 But does the new MacBook really qualify as one? I say yes, in pretty much every way except one. With a 12” screen, it’s a little bit bigger than many netbook screens, but not by much. But it’s very light and portable, it’s not power hungry, and it’s small enough to easily carry around a convention floor all day and still use it to write as much as you want back in your hotel room. OK, there’s one other way its not like most netbooks. At $1,299, it’s a lot more expensive. But Apple products tend to demand a price premium. Still, I hope Apple embraces the netbook theme for their new MacBook. I think it’s time these very useful computing devices made a comeback. And given how Apple tends to start trends, this just may be the spark that brings netbooks back.